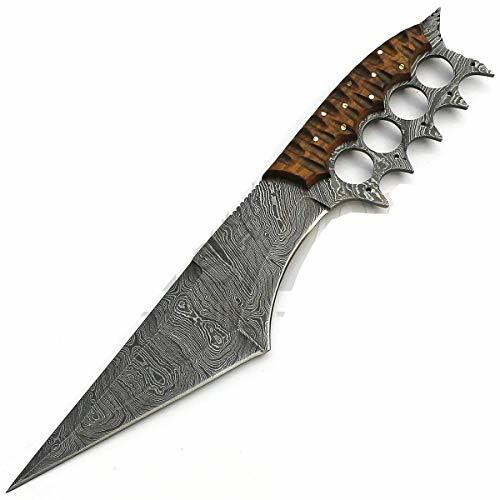 Overall Length is 12.00" Long | Blade is 07.40" Long | Handle is 04.40" Long. Quality Material Used 1095/15N20 ALLOY STEELS (512 true Layers). Hardness of the blade of this knife is HRC 58-60. Handmade Durable LEATHER SHEATH included. If you have any questions about this product by PAL 2000 KNIVES, contact us by completing and submitting the form below. If you are looking for a specif part number, please include it with your message.